Australia has many advantages: great weather, great food and a high standard of living are just three of the reasons why you should consider packing your bags and moving to the country they call “The Lucky Country” after a Donald Horne book released in 1964. Every year thousands of young people make the choice to leave their own countries and study in Australia. Some students will be seeking thrilling nightlife and beautiful beaches, whilst others will focus more on the academic strength of their university. You will need to apply for a specialist study visa before you can start your course at the university of your choice. The cost of the education visa will be $550 for a year (based on current 2016 prices). Choose a quality migration agent in Sydney to secure your visa. There are dozens of world class universities in Australia, offering high-quality degrees over hundreds of different courses. You will need to take some time to weigh up the pros and cons of different educational institutions. Read this helpful guide which contains the top Australian universities. Hopefully, you will then be able to make an informed decision. The Australian National University is ranked as the number one higher education facility in the whole of Australia. It is situated in the capital city of Canberra. It also ranks as the 19th best university in the world, so you know that you will receive a world-class education. This university was specifically created by the Australian Parliament. The areas which it is famous for are politics and science. 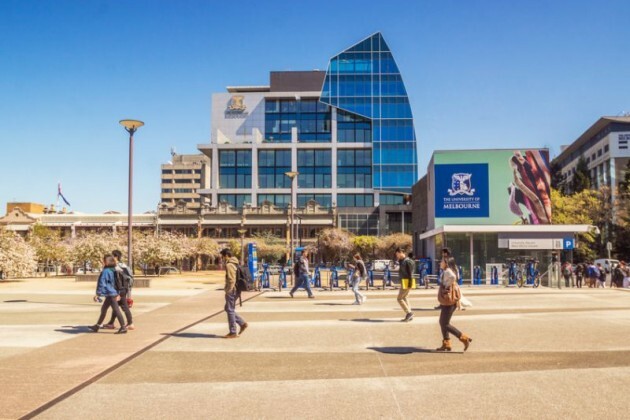 The University of Melbourne is the second-ranked university in Australia. It is ranked 42nd in the world, so whilst it lags behind ANU, you will still receive a top-class education. The university excels in the subjects of psychology and medicine. The University of Sydney is another top-class university. Students might want to consider that this is one of the priciest cities to live in and depending on your budget you might feel quite limited in what you can do. However, don’t let that put you off completely because UoS is ranked 45th in the world. This is another university located in Sydney. It is ranked 46th in the world, which is the same as the University of Queensland. This is one of the core universities of Australia and it is particularly well-regarded to the contribution it makes towards research across a wide range of disciplines. Again, you will want to factor in the high cost of living if you choose to study in Sydney. Monash University is a small university located in the state of Victoria. Just like the University Of New South Wales, it is renowned as a top-quality research centre across a wide range of different subjects. Use this guide to decide where you want to go to university in Australia.